As the world gears up for the much anticipated Feb 25th DVD/Blu-ray release of James Nguyen’s cult hit/romantic thriller Birdemic: Shock And Terror, I thought this would be a great opportunity to begin a series follow-up interviews with Birdemic‘s key players. Today: the lead, Alan Bagh. Alan Bagh plays Rod, a software salesman who achieves his “Silicon Valley dream” by closing a deal for a whopping one-million-dollars, lands a series of dates with Victoria Secret fashion model Natahlie (played by Whitney Moore), and has his Half Moon Bay vacation interrupted by a vicious assault of flammable, homicidal birds. Bagh in the real world is a great guy, and anything Rod can do, Alan can do. 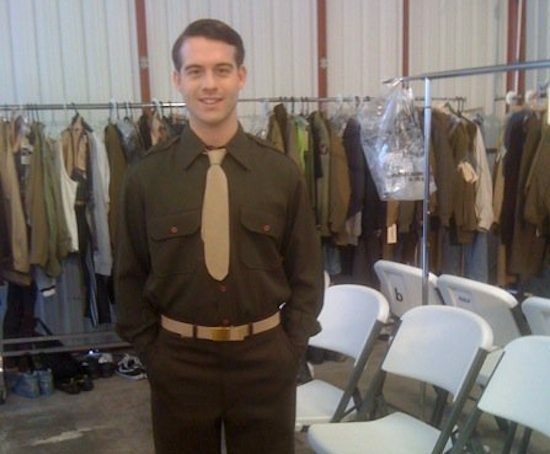 He’s been busy getting acting work since re-locating to Los Angeles. So, without further ado, here is my short chat with Alan Bagh. Evan: Did you ever think Birdemic – Shock And Terror would make it to the new release shelves of Best Buy stores across the country? Alan: Wow, to tell you the truth, I did not. I just found out and I’m in shock. I think that’s pretty amazing. When Severin Films first entered your life when the distribution deal with Moviehead Pictures was made, what were your initial thoughts? Well, this is the first film I have ever done and when I heard Severin picked it up, I was very excited. I couldn’t believe it. Dreams do come true. How has the cult appreciation of Birdemic been for you over the last year? It’s been great. I got to experience the whole movie star scene like attending premieres, autographing for fans, walking down the red carpet, etc. Also, having fans on top of all that is so amazing, especially all over the world. It’s a great feeling knowing that people enjoy watching me on the big screen. I feel blessed to be part of a cult classic. Thank you guys and gals. 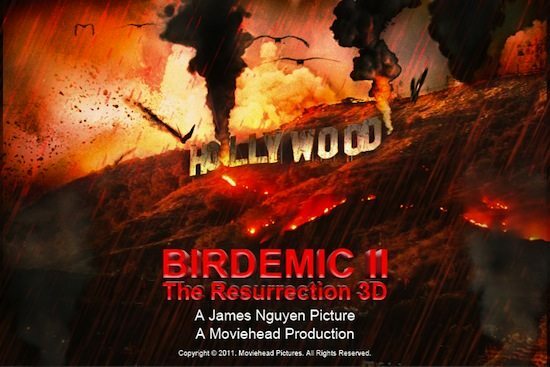 James has been talking a lot about Birdemic 2 The Resurrection 3D on the internet, will we see an appearance by Rod in the sequel? I might make an appearance. Wink wink. You will just have to wait. Recently you have relocated to Los Angeles from Sacramento, how has that been for you? It’s been great. I mean it’s a bit of a different world here than I’m used to, but I’ve managed. I have many relatives here, so I’m not that new to LA. I’ve been keeping busy with lots of projects and I’m very grateful for that. I’m working on lots of projects and hopefully more to come. If you want me in your movie contact me. You can keep up with all things Bagh via his Facebook fan page, and www.AlanBagh.net.